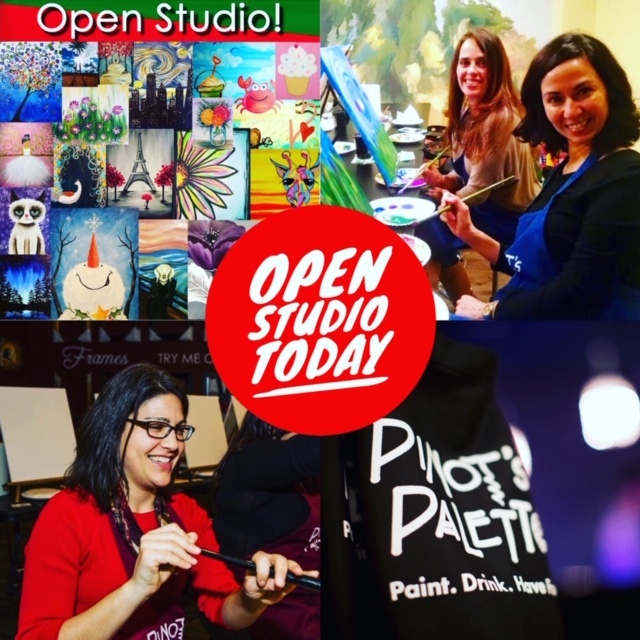 Join us for open studio! Your admission includes all the supplies you need to create your masterpiece. Paint whatever your heart desires or choose from our self-guided instruction sheets. Please note that we are NOT teaching - you are on your own to paint what you want! 11X14 paintings are $18 and 16X20 paintings are $28. You can also do bottles, glasses and totes.